One of the activities that I asked my friends that we had to do when we visited Queenstown is to go on a day trip to Milford Sound. 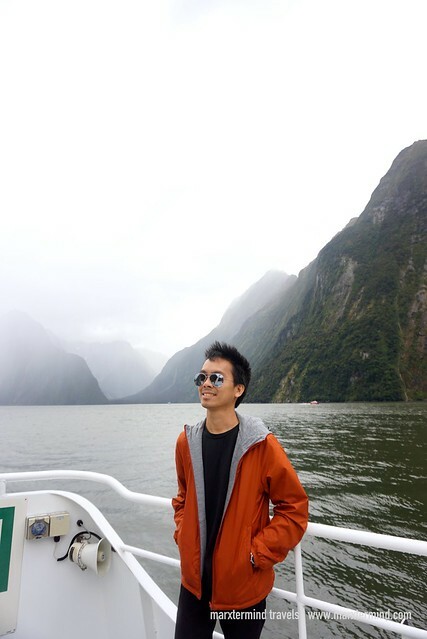 It’s a fiord in the South Island of New Zealand that features wonderful scenery. It is also known for its dramatic views of mountains and waterfalls. 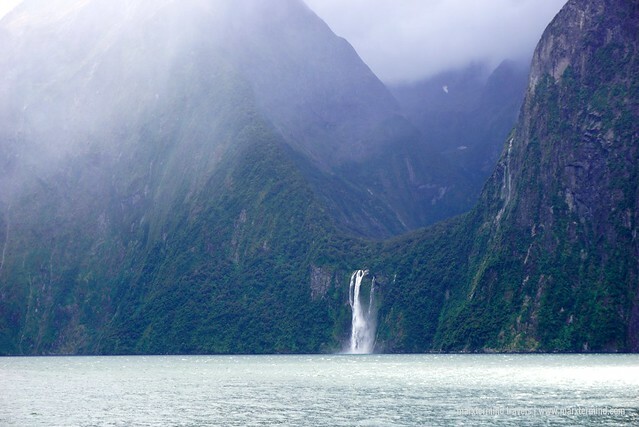 Milford Sound is a world-renowned natural attraction so a visit to New Zealand wouldn’t be complete without seeing it. 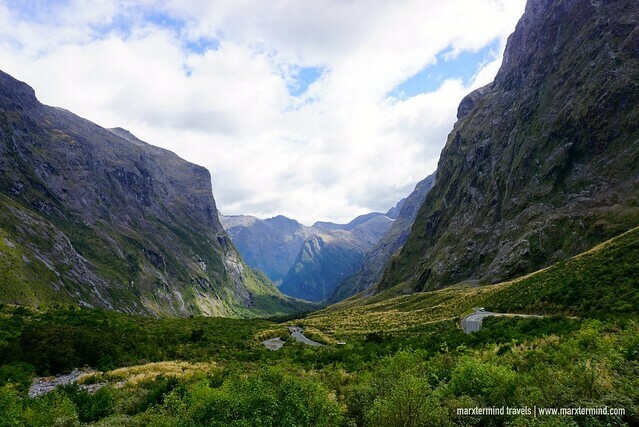 Located 288 kilometers from Queenstown, it would take 4 to 5 hours drive to reach Milford Sound. It’s a long drive so the most convenient way to visit is to take a bus and join a group tour. One of the companies that I discovered online that is offering fun and exciting day trip to Milford Sound is with Awesome NZ. 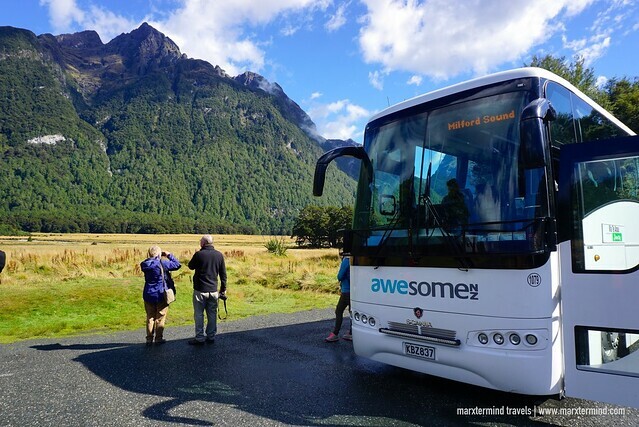 Awesome NZ is a local company offering interactive and exciting tours in New Zealand. It’s also one of the best value tours that I found online for Milford Sound. It costs only $189 per person for adults. The tour is by coach. It departs early from Queenstown giving the tour joiners the opportunity to enjoy the tourist spots ahead of the bus crowds. During the tour, there are also plenty of opportunities for photo stops. Call time for the tour is at 7:05am. We joined the tour on a Thursday. The meet up place was just near our hostel, which was a good thing. The bus arrived on time. We lined up to the entrance door and the driver/guide asked for our names. When our booking was confirmed, he gave each one of us a boarding pass for the cruise and a lunch pass. It takes a little while to get everyone’s on board because the tour was quite full that day. When everyone’s on board already, our driver/guide introduced himself and started telling us about our itinerary for the day. 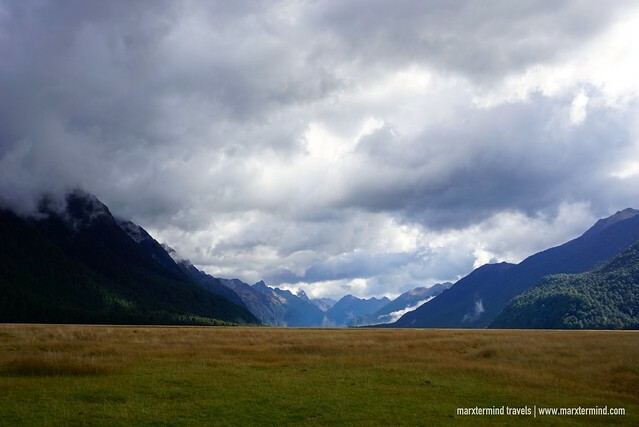 Our bus journey to Milford Sound is one of the most scenic ones that I had in my life. Seeing the stunning views along the road, I couldn’t help but be amazed. Our coach also has a glass-roof, which I was surprised to learn. 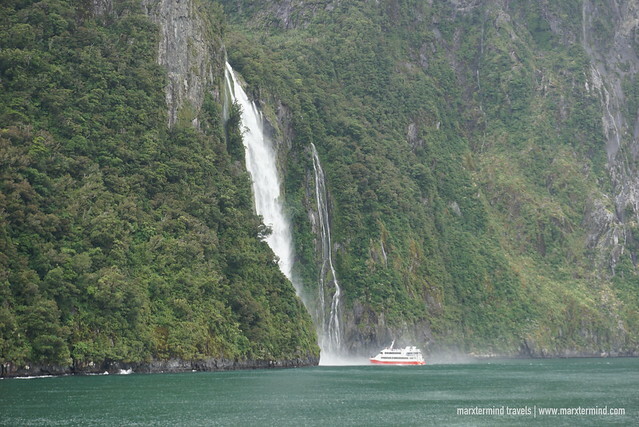 With spectacular scenery, our journey to Milford Sound itself was already an enjoyable experience. After two hours driving, we stopped by the town of Te Anau. This is a popular stop where guests can grab some food – have some breakfast or snack. Here, there’s also a shop for souvenirs, clothing and footwear if you need to buy one. This town is also where the bus drops off some of the passengers and picks up some of the joiners, who begin their trip in Te Anau. A 30-minute drive north of Te Anau, we stopped by the Eglinton Valley. It’s a wide open field with mountains that were carved out of glacial activity several thousand years ago. Now, it’s a popular stop with wonderful views. The valley was also used to create the Misty Mountains in the movie, The Lord of the Rings. Before we continue our day trip to Milford Sound, we also dropped by the Mirror Lakes. It’s a 5-minute walk from the parking lot. 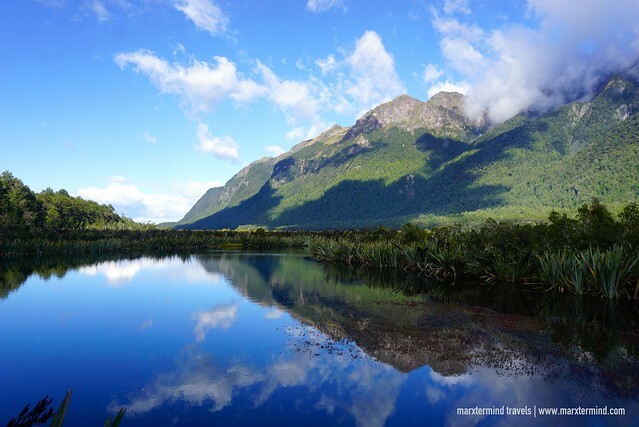 The Mirror Lakes is one of the most popular attractions in New Zealand, with beautiful reflections as the name suggests. That is because the small lakes offer outstanding reflective views of the Earl Mountains. 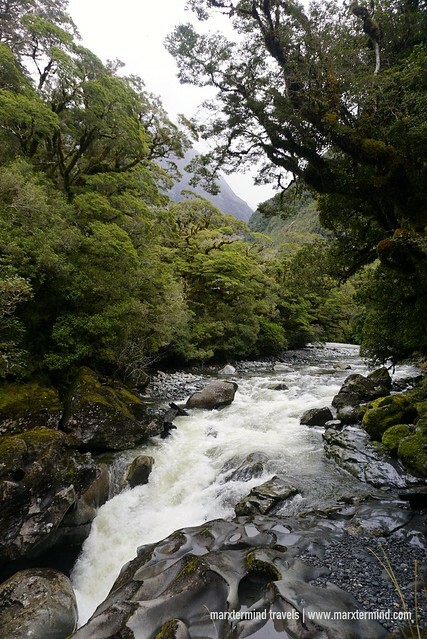 We also visited Cleddau Valley on our way to Milford Sound. We had a stop for a while at this beautiful spot and enjoyed a lot of photos. The view was breathtaking. The mountain range and the winding roads, it was a stunning scenery. Another highlight of our trip that is worth a stop is the Chasm. It is a series of gushing waterfalls just a short walk from the car park. 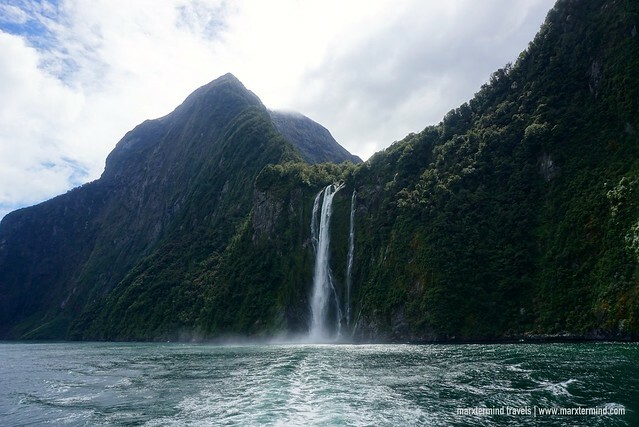 The waterfall drop is a remarkable sight to see. It was impressive. The walk through the woods was also very nice. The place was quiet and serene. We arrived at the Milford Sound Information Center before 1:00pm. This is where all guests board the cruise. Our scheduled departure was at 1:05pm. Our driver/guide told us which boat to board. We boarded and went to the middle deck and looked for a table for our group. Our tour also already includes a Pita Pit lunch. But I was excited already to take some photos so I decided to just have my lunch after. Then, I asked one of my friends to go with me to the upper deck level. Even if it was drizzling, we were able to manage to have some photos. The view was very outstanding. The surrounding mountains dotted with several waterfalls, it is a spectacular natural attraction to see. 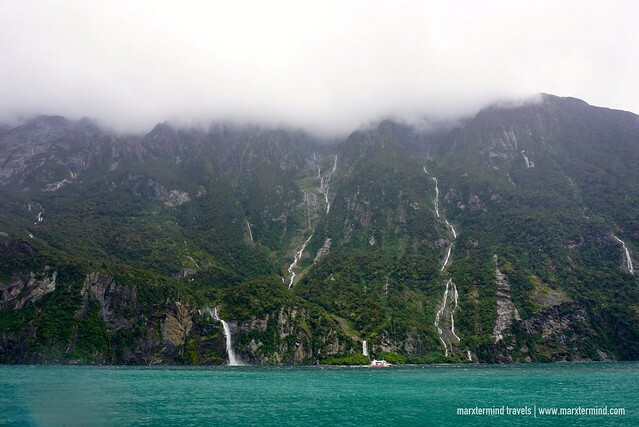 Even it was raining and the wind was blowing, this New Zealand’s best known fiord was incredible. I also have never seen many waterfalls in my life in one day or while on a cruise until this time. It was a magical experience. The cruise went on for about 2 hours. One of the highlights is when the boat went near to one of the big waterfalls. The water was raging and people were enjoying. I just wished though that I was able to get to the front deck. But it was still awesome, nonetheless. It was around 3:00pm when we were able to get back to the port. We went off the boat and went straight to our bus. On our way back to Queenstown, we had one stop, which was at Te Anau. We arrived Queenstown around 7:00pm. It was a long drive but definitely an enjoyable day trip to Milford Sound. Awesome NZ provided me and my friends and the rest of the group the most awesome experience to enjoy this beautiful fiord. 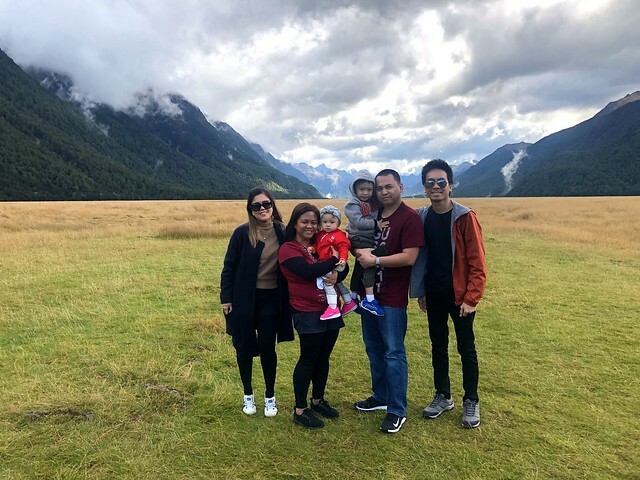 With stunning scenery, our day trip to Milford Sound is absolutely one of the most unforgettable experiences we had in New Zealand. Awesome NZ is a local company offering some of the most interactive, culturally engaging and thrilling experiences in New Zealand. It has sightseeing tours to Milford Sound daily departing from Queenstown and Te Anau. To know more of its tour offerings, please visit the link below.